P&P fans/readers/visitors, just a lil' announcement to let you all know that this week will be The Darcy SagaWeek here at the P&P Blog. To help promote my very good friend Sharon Lathan's book release for her latest book: Volume Two: Loving Mr. Darcy ~ Journeys Beyond Pemberley (in stores starting today in some major books stores and nationwide tomorrow! 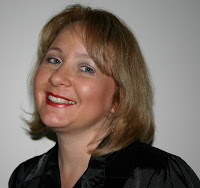 ), there will be some fun P&P/Darcy Saga related posts and activities going on here as well as at Sharon's website/Blog (She's doing a 3-dayLaunch Fete, which started yesterday). So, be sure to check out both our blogs for fun and entertainment all this week to celebrate the launch and book release of Sharon's Loving Mr. Darcy. First check out Pride & Prejudice Quiz, Pride & Prejudice Quiz (#2), Pride & Prejudice Quiz (#3), and Pride & Prejudice Quiz (#4) if you missed them. Continue taking the last quiz below. Once again, feel free to post your thoughts and comments on each of the quizzes posted here and let me know how you did. Thanks to those of you for taking the time to check out (and for taking) these quizzes. Hope you enjoy taking them and that you did very well when you try taking them. If you want me to make more of these quizzes, feel free to comment here and let me know. I'll be happy to make more and post them here as soon as I can. 41. True or False: Mr. Darcy is an only child. 42. Mr. Collins is a distant cousin to whom? 43. Who said this: "Your hands are cold." Launch of "Loving Mr. Darcy"
Greeting visitors of Pride & Prejudice 2005 Blog!Sharon Lathan here, with a formal invitation! 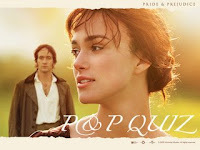 I, as you all probably know, am the author of The Darcy Saga - a sequel to P&P that is largely and proudly inspired by the magnificent 2005 movie by Joe Wright. My second novel in the series will be officially released in 3 DAYS!! Loving Mr. Darcy: Journeys Beyond Pemberleycontinues on where the first novel – Mr. and Mrs. Fitzwilliam Darcy: Two Shall Become One – ended. And, in just 4 months the third book in the series will be out. What a year this has been! My head is spinning and I can’t quite wrap my mind around the fact that I am now a multi-published author. Surreal. New Surrogates BTS video clip, Posters, Stills, and more! Here's an update of Rosamund Pike's upcoming action/sci-fi/thriller film Surrogates, which she co-stars with Bruce Willis and is slated for a September 25th theatrical release. Official stills (including a HQ one of Rosamund Pike) and promo movie posters as well as a new Behind The Scenes (extended) video has recently been released byTouchtone Pictures. Check them all out below! But first, check out the official website formore Surrogates movie info. It is now up and running with lots of updates including videos, photo galleries, and downloads to name a few. as well as the First Look at 'Surrogates' with Rosamund Pike and Bruce Willis. Check out these links, if you missed them. Here's an update on Kelly Reilly's upcoming film Sherlock Holmeswith Robert Downey Jr., Rachel McAdams, and Jude Law. 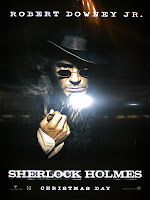 Warner Bros. Pictures has launched a viral campaign for its new film Sherlock Holmes. Click here to visit the viral site. Carey Mulligan graces in gorgeous 5 different covers from 5 different top fashion designers in the current issue of New York TimesStyleT Magazine. Check out Carey's 5 different T Magazine covers and photo shoots images below, you can purchase the T magazine in stores now, or you can order from The New York Times Store website now! STEFANO PILATI • CITING ANNA MAGNANI, BIBI ANDERSSON AND ANNIE GIRARDOT, PILATI WANTED TO IMBUE MULLIGAN WITH ‘‘A THEATRICALITY THAT IS NATIVE TO ALL THE GREAT ACTRESSES IN THE HISTORY OF CINEMA.’’ AND WHAT COULD BE MORE DRAMATIC THAN A SHOCK OF PLATINUM HAIR AND A GASH OF RED LIPS, THE RIGHT ACCESSORIES FOR PILATI’S HARD-EDGED FALL COLLECTION? YVES SAINT LAURENT JACKET, $1,775, BUSTIER, $1,650, SKIRT, $850, AND SHOES. GO TO YSL.COM. FASHION EDITOR: TIINA LAAKKONEN. Excluding P&P movie, which of the following Jena Malone Films is your most favorite? Excluding P&P movie, which of the following Rosamund Pike TV & Films is your most favorite? Carey Mulligan was out and about recently in New York City as she's currently getting ready for the filming of her next movie, Wall Street 2: Money Never Sleeps, which starts filming in September. Filming hasn't started yet and she was seen Lunching in New York (with co-star Wall Street 2 co-star Shia LaBeouf) this week. Here's a related article:Shia LaBeouf & Carey Mulligan Couple Up? They are rumored to be dating, but I think they're just having lunch together, obviously hanging out and getting to know each other as they get ready to shoot their new film as they, after all, play...what else? a couple. Anyway, last week (August 19th) though, she attended the September IssueNew York Premiere at the Museum of Modern Art in New York. Check out new pics of Carey looking gorgeous (as always) in a colorful summery dress below! Click all images below to enlarge! 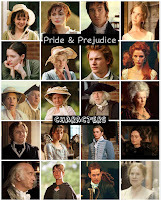 First check out Pride & Prejudice Quiz, Pride & Prejudice Quiz (#2), and Pride & Prejudice Quiz (#3) if you missed them. Continue taking the next quiz below. Feel free to post your thoughts and comments on each of the quizzes posted here and let me know how you did. 31. Who said this: "Now if every man in the room does not end the evening in love with you, then I am no judge of beauty." 32. When Mr. Bingley proposes to Jane Bennet in the movie, what was her response? B. "No, I cannot marry you." C. "Yes, a thousand times yes!" 33. Name the actress who played Charlotte Lucas? 34. Lydia Bennet runaway and eloped with whom? According to the Associated Press, Rupert Friend's The Young Victoria will close the 2009 Toronto International Film Festival, which runs from Sept. 10-19. TORONTO — Next month's Toronto International Film Festival is ending on a regal note. The closing-night film of the 10-day festival will be "The Young Victoria," starring Emily Blunt as the British queen in the early days of her nearly 64-year reign. The film from French-Canadian director Jean-Marc Vallee also stars Jim Broadbent, Miranda Richardson, Paul Bettany and Rupert Friend. Julian Fellowes, who won an Academy Award for his "Gosford Park" script, wrote "The Young Victoria" screenplay. Running Sept. 10-19, the Toronto festival is a major launching point for Hollywood's fall releases and Oscar contenders. Read the official TIFF 09 Press Release here: The 2009 Festival Announces Closing Night Gala. 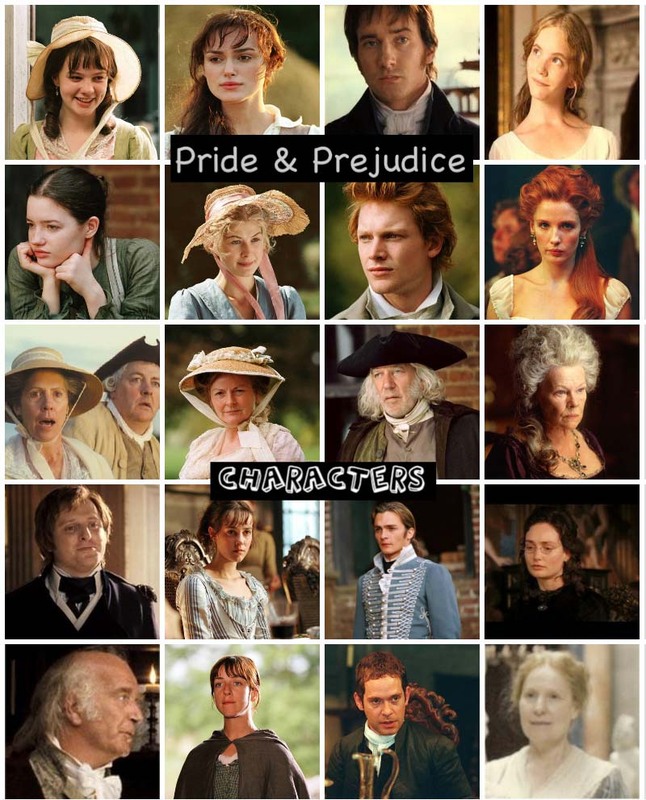 First check out Pride & Prejudice Quiz and Pride & Prejudice Quiz (#2), if you missed them. 21. What was the name of the music/song that was playing when Elizabeth Bennet & Mr. Darcy were dancing at the Netherfield Ball? 22. What was the name of the song that was playing when Elizabeth was running in the rain from the church? 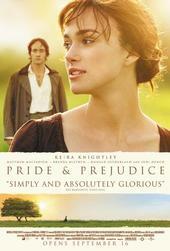 23.Why did the UK/International release version of P&P '05 film have a different ending than the U.S. version? 24. Who said this: "How do you like it here in Hertfordshire, Mr. Bingley?" November 25Wait — Daniel Day-Lewis, Penélope Cruz, Nicole Kidman, Judi Dench, Marion Cotillard, Sophia Loren; all in a musical directed by Rob Marshall, who all but resuscitated the movie musical with Chicago? And the Broadway show it's based on was, itself, inspired by Federico Fellinni's classic 8 1/2? Seriously, where's the queue? December 25Few things seem as surefire — especially post-Iron Man — as Robert Downey Jr. as Holmes and Jude Law as Watson. Do you agree with EW.com's 20 Fall Movies We Can't Wait to See list? It's official Carey Mulligan joins the cast of the upcoming Oliver Stone's keenly-anticipated sequel Wall Street 2: Money Never Sleeps set to be released in theaters April 23, 2010. Carey is up for a leading female role as Michael Douglas' reprised character Gordon Gekko's estranged daughter Winnie Gekko. This was previously rumored last month: New Movie Rumor: Carey Mulligan cast in “Wall Street 2: Money Never Sleeps”? Carey Mulligan is coming on board "Wall Street 2: Money Never Sleeps" to play Gordon Gekko's daughter. Mulligan joins Michael Douglas (Gekko), Shia LaBeouf and Frank Langella in the sequel to the 1987 film, to which Josh Brolin is in talks to also join. Mulligan's character is romantically linked to LaBeouf's, a young Wall Street broker on his way up. Shooting to due to start September in New York. 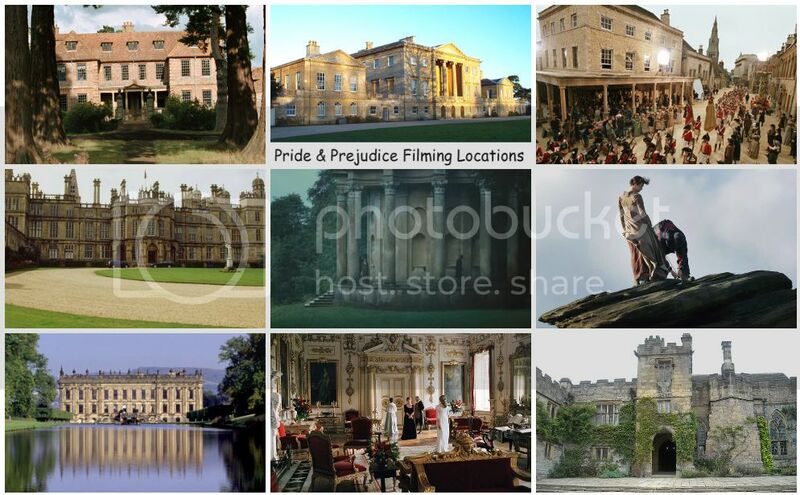 But first, see previous Pride & Prejudice Quiz, if you missed it. 11. True or False:Director Joe Wright was the only P&P director to use complex, sweeping tracking shots that last several minutes, travel through multiple rooms, and highlight the different activities of many people. This technique creates a strong feeling of exploring an entire era in one location. 12. Towards the end of the P&P novel, a double wedding took place between which pair of characters? 13. True or False:According to the director's commentary, Tamzin Merchant (Georgiana Darcy) did not do her own piano playing in the film.